This post is about How to Hide Navigation Option from Navigation Drawer / Sidebar in React Native. We will use react-navigation to make a navigation drawer in this example. I hope you have already seen our last post on React Native Navigation Drawer because in this post we are just extending the last post to hide the navigation option from the Navigation Drawer. 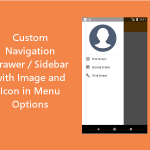 Hide Navigation Drawer option means while creating navigation drawer we have a screen in our navigation drawer which should be visible in the navigation option in the left menu but with some changes, we can also control the visibility of the option. This option is very useful when you have to manage the visibility of the options while the user is logged in or logged out. In this example, we have a navigation drawer with 4 screens but only 3 navigation option available in the Drawer Menu. On the first screen, we will have a button to open a screen which is a part of the navigation drawer but it is not visible in the Drawer Menu options. This example will work for the React Navigation Version 3+. If you are using Version 2+ then please find the comments in the code for the suitable changes or can see our old post React Native Navigation Version 2+ for the help. To hide the navigation option from the Navigation Drawer we have to return a custom drawer label. Have a look in the code snippet below. //Return Custom label with null in return. Let’s get started with the example. To use createDrawerNavigator, createStackNavigator you need to install react-navigation and react-native-gesture-handler dependencies. This command will copy all the dependencies into your node_module directory. –save is optional, it is just to update dependencies in your package.json file. After linking the dependency if you face Could not Compile Settings File project/android/settings.gradle error while building and installing the project then you can find the solution here. To start with this example you need to create a directory named pages in your project and create four files Screen1.js, Screen2.js, Screen3.js, HiddenScreen.js in it. To have the drawer Icon in Action Bar you have to make an image directory in your project and have to copy any drawer image with name drawer.png (You can change if you want but you need to change the file name in code too). Here is the drawer.png if you want to download. Open pages/Screen1.js in any code editor and replace the code with the following code. title="Open Hidden Screen in drawer"
Open pages/Screen2.js in any code editor and replace the code with the following code. 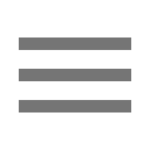 Open pages/Screen3.js in any code editor and replace the code with the following code. Open pages/HiddenScreen.js in any code editor and replace the code with the following code. This is How to Hide Navigation Option from Navigation Drawer / Sidebar in React Native. If you have any doubt or you want to share something about the topic you can comment below or contact us here. There will be more posts coming soon. Stay tuned!